Whether you’re a Utilities Manager, Foreman, Technician or an Engineering Consultant, when it comes to maintaining a sanitary sewer system, we all think about ways we can manage and assess our underground infrastructure. Dollars and resources are spent on items such as master plans, inflow & infiltration studies, CCTV inspections, sewer flushing, root control, etc. These are all important and necessary projects that garner a wealth of information about the gravity system. When it comes time to look at the pump/lift stations, all eyes tend to look at the efficiency of the pumps with less of a focus on the force main itself. Are the pumps operatin g inefficiently because of wear and tear, or could it be that the force main has accumulated debris, an obstruction, or pipe wall growth that is causing a reduction in the capacity of the force main? As a pipeline pigging contractor that routinely pigs sewer force mains as part of a regular maintenance program, during pump station upgrades, and through emergency calls, SFE Global has seen it all. Most force main pigging projects are relatively straight forward and can be completed in one to two days, all while keeping the pump station and force main in service. SFE Global is a one stop shop for all your pigging needs. 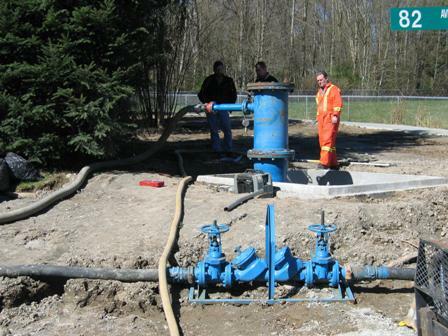 Our Project Managers and Technicians have years of experience pigging force mains, water mains, outfall and intake piping, penstocks, and industrial pipelines. From feasibility to planning to execution, our team is dedicated to meeting the pigging objectives, on time and on budget.